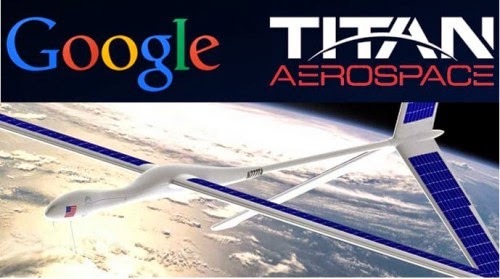 Facebook was interested, but the Google group managed to get their hands on the start-up Titan Aerospace. Specializing in the manufacture of solar drones, this will help Google to deploy internet in inaccessible regions and many utilities. Some web giants want to promote Internet access in parts of the world poorly equipped. Lack of funding from governments and difficult to install infrastructure in these regions, connect the remaining two thirds of the world population is not easy. In this context, Mark Zuckerberg created the foundation Internet.org. According to him, one of the best tools to connect these regions is to use geostationary drones, unlike Google which favored the balloons with its project loon. Mark Zuckerberg said, there is little "drones have more endurance than balloons and can more accurately monitor their location. And unlike satellites, drones will not burn in the atmosphere when their mission is complete. Instead, they can easily return to earth to be maintained and redeployed. " Google reached the same conclusion. Indeed, the group has bought the company Titan Aerospace. This American company is specialized in the manufacture of solar drones, capable of operating at twenty kilometers altitude for five years. The first units should be sold next year. With this acquisition, Google will install several tools for connecting people. Not to mention that this type of product interests more. Amazon, for example, wants to build on to deliver some orders. If it works, Google will expand the activities and thus absorb these heavy investments.